Your courage, your lives, your example should guide us. Although history cannot be changed, hopefully it will never be repeated. As you heal, live in Divine Love and Light. I want to let you know that you are an inspiration to women. Never be silent. Your courage, strength, sense of dignity ... it has set an example to guide me. History can never be changed, but it can be avoided. Thank you for sharing your lives with us. Thank you for sharing your stories. You'll be in my heart and in my prayers. Dear all of my grandmas! You are most brave women in the entire world! God bless you, and I will always pray for you. I was made aware of your painful experiences during WWII. Although I had been to the Philippines, until now I was not aware of your pain. Being a child of a revolution in Cuba I know of the pain others suffer for the authority imposed on them with an abuse of power. But I know that only you that has suffered so can relate. I deeply sympathize with you. Don't let anyone revise history. Don't let a wrong be corrected by another wrong. Filipino pride is priceless. I am a Pinay writer from New York. 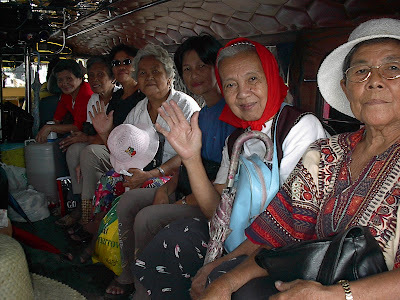 Your stories of survival are a testament and inspiration to all Pinays worldwide and at home. Thank you for speaking up and for carrying the stories in your hearts and on your backs. Be brave and continue to fight with love, patience and truth. MAKIBAKA! I signed the petition and I support you. Hope this is cheerful to you.